INTERMAPS® | Change is inevitable. Change is constant. Companies change, adapt and move with the times. And we decided it was time to update our look. When we started over 20 years ago we had no idea how the landscape of the Internet would change or what we could do with it. Back then HTML4 had just become the online standard and Macromedia Flash pages were à la mode. We were a small media agency making websites, animations and promotional digital materials for various clients, however our passion for the mountains was already shining through, with one of our first clients being the world-renowned Arlberg ski resort in western Austria. Over the years we started to focus more and more on digital cartography, offering innovative solutions for cities, regions, summer & winter mountain resorts, golf courses and other tourism destinations. Our digital overlays and the addition of live data sources proved to be reliable and useful in various industries. At the same time we started to offer more and more services for ski resorts, like our SKI!TV presentation system for large screens and local cable TV networks. More data meant more need for data management, for which we created our own centralized system, SDDS, in order to gather and distribute information to various platforms, which we have built upon and are continuously developing. With time the focus of our company became more and more clear and it was apparent that our strengths lie with eTourism and the winter sports industry. We continued creating new products, such as 3D Maps and continued improving our SKIMAPS, even getting a head start on making our software mobile-friendly. We were already developing apps before smartphones were a thing and our first experience started with PDAs. 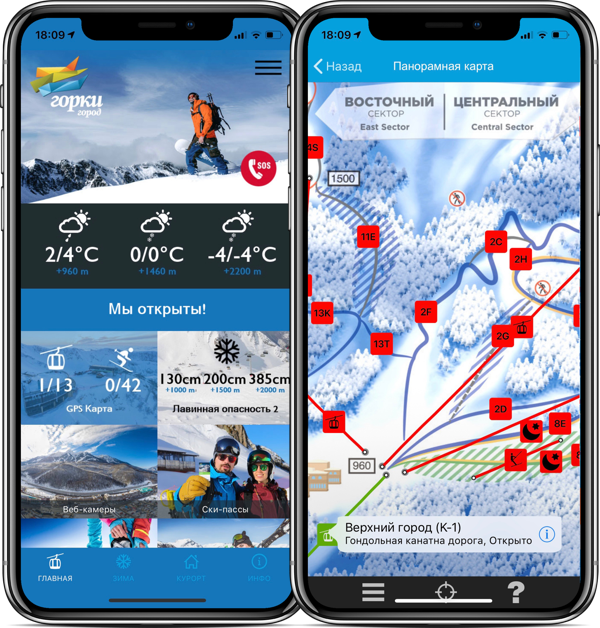 We welcomed the iOS and Android era ready to create our own line of skiing apps, and custom solutions for our customers. Which brings us to today. We are proud of our work and history, and would not be here without the experience we have gathered throughout our past. Even though we’ve become attached to our original logo, it was time to admit to ourselves that we have changed and want to reflect who we are today, while not forgetting our roots. We’re looking forward to the future, new partnerships, challenges and projects and can’t wait to see which slopes we go down next.